As flagged up last week, we are now offering a new edition of the Dartmoor sweater – the long-sleeved polo shirt I designed with John Smedley. 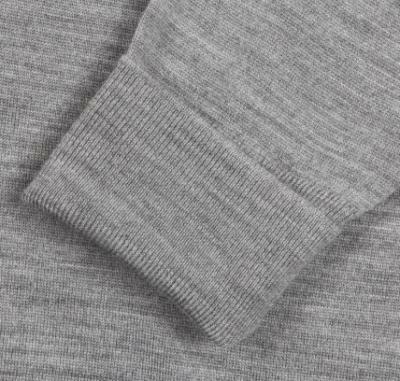 You voted for our second edition to be in the mid-grey shown above, which Smedley describes as silver. I think this is a great choice, as it will be an incredibly versatile piece, equally at home under a navy blazer and a brown-tweed jacket. As those who ordered the Dartmoor the first time will know, I designed it as the perfect collared knitwear to go with tailoring. The Dartmoor has a relatively high, fashioned collar, which means it sits well with a jacket’s collar and does not collapse beneath it. And it has a turn-back cuff, which makes it dressier than most sweaters with a cut edge. The Dartmoor is made in Smedley’s slim fit, which was only introduced recently and is a big improvement on their boxy, classic style. For those that know Smedley well, the Dartmoor has the fit of a Tyburn but the style details of a Dorset. It is made in 30-gauge, extra-fine merino wool. This is a luxurious cloth, but has a smoother finish than cashmere and more substance. It also means that we can sell the Dartmoor for a relatively affordable £145. The Dartmoor costs £145. Unlike the first edition, orders should be made through the John Smedley site. Simply click here and fill in your details. As with the first edition, these are pre-orders that will be taken by Smedley at the end of the order period (February 7) and made at the beautiful old factory in Matlock, England. They will then be delivered to everyone in mid-March. It is this pre-order process that enables us to offer the Dartmoor at a regular price, despite its small volume and non-standard design. Smedley’s standard 14-day returns policy applies. Delivery costs £5 in the UK, more elsewhere. The fit is slim. 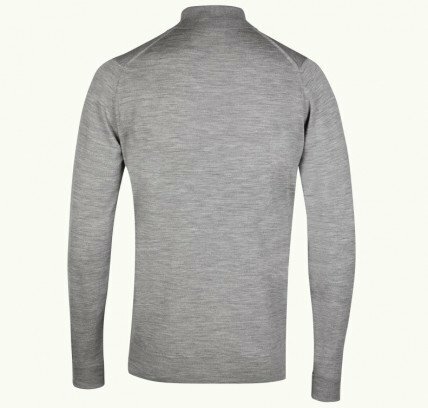 I always used to size down on Smedley knitwear, given its boxy fit, so I bought small previously – but I buy true-to-size in the new slim fit, so medium for the Dartmoor. I am a 38′ chest, 32′ waist and wear a medium in the pictures on the original post. Remember, visit the Smedley site here to order. I hope you like it. 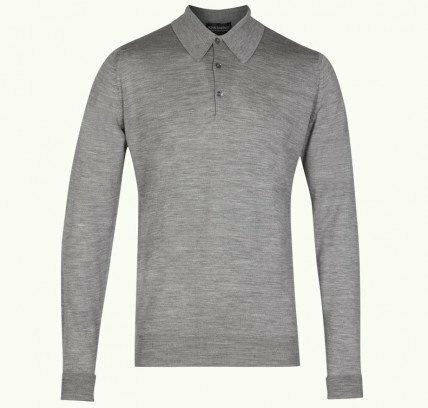 You can follow the discussion on The Dartmoor in grey: Buy the perfect polo by entering your email address in the box below. You will then receive an email every time a new comment is added. These will also contain a link to a page where you can stop the alerts, and remove all of your related data from the site. Do You know if will be available to foreigners? It is not availaible on Smedleys “Denmark” page. And I like to have one! It is available anywhere in the world, but you have to go through the link in the article above. It is not featured on Smedley’s normal websites. If you have any problem with this, or problems getting your order processed to send internationally, please tell me so i can get the problem fixed. I just want to check with you regarding size. If I have large in John Smedley regular/classic fit I require a x-large Dartmoor. Right? I am just curious ! Do You know when the polo’s are ready for shipment? They should all have been shipped by now. It ended last week. If you haven’t received yours please contact Smedley customer services and copy me. For Your information I should receive one in navy tomorrow. Hi Simon, is the Exeter the Dartmoor’s equivalent in Sea Island Cotton? Which of the current offerings would be the closest? You should consider partnering them again on a cotton version for us Asian tropical folks…. any chance this polo will be made available again in the near future? Which polo in the current JS collection comes closest to it? I understand that they (JS) cut back the collar and that the cuff has lost its turnback style on the standard slim fit polo. Just read your comment above my question.. I assume the matthew is still the closest?